Mister Rogers receives an invitation to Joe Negri's Music Shop to for a free music lesson. Before going to visit Mr. Negri, Mister Rogers uses a small chalk board to write a few of the names he is called -- "Dad" and "Fred." He also shows that he has brought with him a carton of milk which he puts in the refrigerator. At Negri's Music Shop, Mister Rogers decides that he would like to have a drum lesson from Bob Rawsthorne. Meanwhile, Mr. McFeely is practicing his typing in the back room. Johnny Costa and Bob Rawsthorne come in to play some music with everyone including Mr. McFeely who continues typing away. In the Neighborhood of Make-Believe, Lady Aberlin does her best to help ease Daniel Tiger's fear about school. Ana Platypus is feeling a similar uneasiness which prompts Lady Aberlin to confront Lady Elaine about the pressure she has been putting on the children. Back at the house, Mister Rogers draws a face on his chalkboard as he wraps up for the day. A sign on the counter at Negri's Music Shop advertises "Walkie Talkies for Sale." One episode earlier, in Episode 1462, Mr. McFeely stops by Mister Rogers' house with a pair of walkie talkies and mentions the sale at the music shop. As Mister Rogers is receiving a drum lesson, upon learning that it makes a louder sound, he cannot help but hit the snare drum instead of the practice pad as soon as he gets ahold of the sticks. 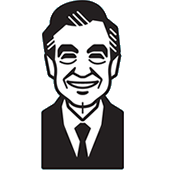 In Amy Hollingsworth's book The Simple Faith of Mister Rogers, she mentions more than once (in the introduction and again in Chapter 8) that Mister Rogers never used the phrase "Can you say _____?" As is evidenced by the drum lesson scene in this episode (and others), this phrase was indeed used on the show ("Can you say 'radamacue'?"). Daniel Stiped Tiger's letter card is inexplicibly missing the letter Z. A clip from this episode is seen in the special Mister Rogers Talks With Parents About School.